Wandia and John had been trying to bear a child countless times, unsuccessfully. They had listened to every old woman’s folktales on fertility enhancement and would have visited a local mganga were it not for the good Lord forbidding it in His word. Then once, after months of drinking beetroot and amaranth—she believes that was the trick—a lethargic Wandia was declared pregnant by her gynecologist. It was the kind of joy that made the young miserable couple weep with releasing sighs; but joy that never lasted as Wandia miscarried in the fourth month and slid into a ghoulish depression. Wandia was diabetic; the really unstable kind. Attendant to the diabetes was the opportunistic high blood pressure condition which had her handled like an egg whenever she was pregnant only to have a miscarriage. It would be a travesty to language to say that Wandia loved or wanted children; she wept, grieved and moaned her childless poignant existence. Borrowing from the biblical Hanna, she had fervent conversations with Jesus about stabilizing her and giving her a child, at least one; a child of her own that bore her thick silky hair and round piercing eyes. Hanna’s aunt came to the rescue—which auntie would sit back and helplessly watch her beautiful niece emersed in misery when she could help? ‘Surrogacy’, she suggested to Hanna. ‘Surrogacy’! The idea of another woman carrying Wandia’s biological child was quite simply, strange. But suffice it to say that the misery of childlessness was worsening her health condition. This surrogacy idea might actually be the light in the tunnel, she sought. So legal counsel was sought and with the sneering know-it-all aunt in tow, they spoke to a lawyer. Surrogacy is an arrangement where a woman (the surrogate mother) agrees to bear a child for another woman or a couple (the intended parents) and surrender the baby at birth. Such agreements are gaining popularity among reproductively challenged women who view it as their last resort. Popularity that has seen Milka Njatha and more than 100 Kenyan ladies come forward offering themselves as surrogates in ‘surrogatefinder’, a reproductive health website. Says Milka: ‘It makes me sad to hear that someone is not able to have a baby of their own. I would love to know that I made another person happy through my sacrifice and a good heart.’ Just like all modern reproductive technologies, there is no Kenyan law regulating surrogacy arrangements. Most of the times, the child born of a surrogacy agreement is absolutely biologically related to its parents and the surrogate mother simply offers her womb to carry that child to full pregnancy. In such cases, the egg is retrieved from the intended mother and joined with sperm from the intended father. This is known as Gestational Surrogacy (the surrogate mother has no genetic connection to the child). However, if the couple has an infertile female, the surrogate mother goes through a process of (artificial insemination) using the intended father’s sperm. This is known as Traditional Surrogacy (the surrogate mother is biologically the mother of the baby). There are also situations when neither parent is biologically related to the child—often also referred to as embryo adoption. Where a couple hires a woman to carry a child using sperms and eggs they have bought at a reproduction centre or sometimes the surrogate’s egg and a bought sperm. In such a case, the surrogate mother may or may not be a biological parent. Many intending parents feel more comfortable knowing the surrogate mother has no biological ties to the surrogate baby she is to carry. They therefore prefer gestational surrogacy where the surrogate simply plays host to the pregnancy after fertilization of the couples’egg and sperm outside the surrogate’s womb. In this case, the baby is totally their biological child. It must be noted that the biological background of the child, and not its surrogate mother, determine the baby’s genetics; the way the baby will look, its blood type, height, and all other physical traits. A surrogate mother who carries the baby usually comes in handy when a woman is unable to carry a child, perhaps due to medical, genetic or social reasons. Some of the medical circumstances that may prevent a woman from carrying a child include recurrent spontaneous abortion or premature labour. It could also be that there are dangers to the life of the intended mother such as severe heart, kidney or respiratory disease, unstable diabetes, or severe high blood pressure. Genetic diseases caused by individual and hereditary mutations in single genes and chromosomes in which there is a significant risk of an abnormal gene being passed on to the fetus can also be avoided by surrogacy. These include asthma, cancers, diabetes, heart disease, hypertension, mental retardation, mood disorder, obesity, hemophilia, Huntington’s disease, cancer, sickle cell disease, among others. However, surrogacy is complicated by emotions and debates about law and morality. Critics often wonder what kind of woman would carry a child to full term, only to hand over the child to strangers purporting to be parents’ moments after birth. To them, surrogates defy the most fundamental ideals about motherhood, and threaten what we’ve always thought to be a primeval unbreakable bond between mother and child. Some religious conservatives refer to surrogacy as ‘tampering with the miracle of life1. Staunch old school feminists on the other hand refer to a surrogate mother as a prostitute who degrades herself by renting out her body. Rightist activists will claim that surrogacy allows people to treat babies as commodities; that surrogacy is just a kind of prostitution, where the woman is selling a part of her body for financial gain. Moralists will describe the process of arranging surrogacy as “baby brokering,” especially when self-conscious women have their babies by surrogates to avoid stretch marks or to retain their high powered jobs. The critics often go ahead with ethical questions: Do parents have a right to control surrogates’ exercise and alcohol or drug consumption? How do surrogates and parents feel a decade later? What will you tell that child when she/he grows up—that you bought her? Should surrogates get visitation rights? That if you can buy an egg and buy sperm and buy a uterus, aren’t you doing baby-buying? And is that even right? In response, advocates for surrogacy state a matter of fact: that surrogacy simply offers childless couples the ability to have children. The baby is most often genetically theirs but simply grows inside another woman’s body. That surrogacy is the solution to fulfill the felt need to reproduce using one’s own genetic material when a couple has tried it and failed. They argue that many couples consider using surrogate mothers only after giving birth to unhealthy babies who do not survive; surrogacy being a profoundly well thought last resort. They state that most infertile couples resort to surrogacy to have a baby only after a lot of soul-searching. It is never a “spur of the moment” or a thoughtless impulsive decision – and as a result, babies born as a result of surrogacy are deeply loved and cherished. And in a world with many abortions, why disparage those who are desirous of bringing life into happy supportive and loving homes? They propose that only those fertile and healthy women who want no stretch marks and dread maternity leave or pregnancy weight gain should be vilified. In poetic prose, they assert that surrogacy, ultimately, in a divine way, gives infertile women a chance to partake in the communion of the most celestial beauty of life. The surrogate mother usually gets payment for surrogate agreements. Such payments are intended to cover all medical costs incurred throughout the pregnancy and generally for her surrogacy services. The intended parents have to bear all the expenses of the surrogate’s pregnancy and related fees that would cover surrogate screening and counselling, lost wages (if the surrogate was working), medical insurance, transportation and legal fees. The other vital expenses include the cost of fertility treatments needed to begin the pregnancy, which may include In-Vitro Fertilization or intrauterine insemination, prenatal visits with health care providers, the cost of delivery, food, medicines and clothing required for the surrogate and the initial supplies for the baby before being handed over. There are a few key things any couple or person must consider before working with a surrogate. The primary factor is that there should be a medical factor that is makes it necessary to participate in surrogacy. First, visit an Intro Vitro Fertilization doctor (available at the KNH sperm bank, KEMR1, and at the Nairobi IVF Clinic at Landmark Plaza) and ask if he or she recommends that you do surrogacy. Maintaining that figure eight you have or that high-powered job seven figure may not be considered to be valid reasons to work with a surrogate mother. Second, it is crucial to get independent legal counsel regarding the law and the surrogacy agreement before proceeding with surrogacy. If there are any unclear terms in the surrogacy agreement regarding your parental rights, DO NOT proceed. It is highly advisable that all parties to the surrogacy have independent legal counsel to represent them. Further, ensure that you and the surrogate sign legal contracts before any medical procedure is undertaken. This is absolutely necessary to protect your parental and financial interests. The contract must outline the procedures, expenses, and legal parental rights of the parties. After all these, sit on a couch and let a counsellor shrink you over a mug of coffee. Can you allow someone to carry a child for you? How does that make you feel? There are women who need a surrogate mother, but are control freaks who will try to control every aspect of the surrogate’s life, and this will cause unnecessary conflicts between them. Is child-free living a viable option for you? Talk to a shrink. Secondary to this, assuming you are totally entering a surrogacy agreement, there is need to then evaluate the surrogate and her husband or partner. What is her motivation for becoming a surrogate mother? Has she done surrogacy before, and what went wrong or right that she feels the need to do it again? Does she understand that the couple will be involved in the pregnancy and may have different opinions regarding pregnancy care and treatment? How involved will she allow the couple to be? Ask questions about mental illness, hospitalizations, genetic illnesses, allergies, prior marriages, prior children, health status, marital status, bankruptcies, criminal records, alcohol or drug problems and legal judgments, prior pregnancy history, infertility history, et cetera. 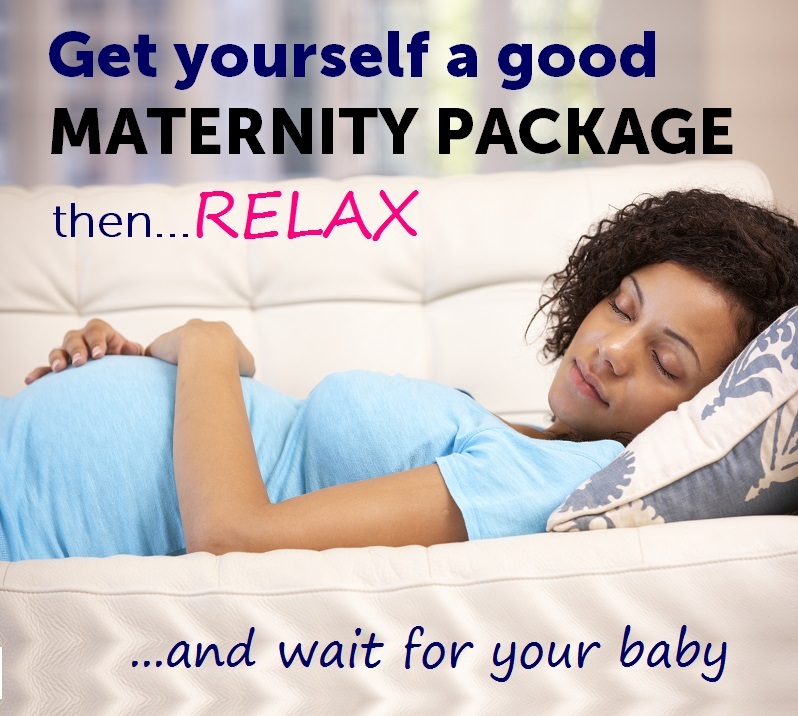 Get a written contract with the surrogate mother. Finally ask yourself whether you have the financial ability to pay for the pregnancy. Can you cope with the costs of a high-risk pregnancy, premature birth and miscarriage? You must be prepared for any problems that may arise along the surrogate pregnancy or thereafter, primarily because of poor surrogate selection. Other causes of problems could include inadequate counselling of surrogates; lack of transparency between the parties; the presence of legal loopholes; and the involvement of “for-profit” unregulated middlemen who subvert the process and exploit would-be parents and their surrogates for money. As a country, how do we ensure that infertile women who do not have a uterus can use surrogacy treatment to have a baby, since this is the only medical treatment option available to them? How can we also ensure that poor women are not coerced or exploited into becoming host wombs? How can we make sure doctors provide surrogacy treatment only to couples who actually need it? How can we resolve the challenging issues of genetic parenthood and social responsibilities? And how do we resolve the rights of the genetic mother versus the surrogate mother if there is a dispute? All the above are important legal questions that only a reproductive health law can answer. Meanwhile, it is an unregulated field and only you as a party to the surrogacy must exercise due caution before entering into any such agreement.